17 April 2009: Amid tensions over the role of religion in society and the looming presence of the military in the country’s affairs, the vibrant system of local government in Turkey consists of 81 provinces and 923 districts. While provinces are headed by an appointed governor, the districts each have their own elected mayor. The most recent elections to local and provincial councils took place in March 2009. Turkey is a parliamentary democracy, founded in 1923, with a strong secular republican constitutional tradition, owing to its origins as the successor state to the Ottoman Empire and the role of the 1922 revolution. The Turkish constitution proclaims it to be a centralised unitary state. In terms of national functions, the largely ceremonial presidency is elected on a five-yearly term, with executive power vested in the prime minister and their cabinet. The prime minister is the leader of the largest party in Turkey’s unicameral Grand National Assembly, which consists of 550 members elected under proportional representation on a largely provincial basis. The strict threshold system however means that despite a vibrant plurality of political parties in Turkey, only three are actually able to secure representation. From 1923-1945 Turkey was ostensibly a single party state and while it has functioned along multi-party lines since then, the country’s military has intervened through coups on several occasions (1960, 1971, 1980 and, to a lesser extent, 1997) and continues to assert its guardianship of the country’s secular constitution against what it sees as a rise in Islamism. To give some idea of the scale of this threat, the former mayor of Istanbul (1994-1998) Recep Tayyip Erdogan was convicted and imprisoned for inciting religious hatred in 1998 for reciting a provocative Islamic prayer and criticising secularist attitudes to a large crowd while serving as mayor. Following the ban on the Welfare Party and its successor, the Virtue Party, Erdogan formed the conservative Justice and Development Party (AKP) in 2001 from the remnants of his moderate faction, before going on to become Prime Minister in 2003. While religious conservatives in Turkey continue to chide secularists for the continued presence of constitutional tenets which they view as against freedom of religion and religious expression, Erdogan’s government has pursued a number of cases against writers and artists charged with “insulting Turkishness”, most notably Nobel Prize winning novelist Orhan Pamuk. In 2008 however, the AKP narrowly avoided an outright ban by the country’s constitutional court, a move precipitated by former members of the military. The centralised character of the Turkish constitution, the most recent being the 1982 document, is demonstrated through its provinces (formerly governorates), which are headed by governors appointed by the national cabinet and answerable to the Ministry of Interior. The system is largely a continuation of Ottoman tradition in administering the various quarters of the empire, albeit with the introduction of the influence of the French prefectural system. In addition to performing the executive tasks, provincial governors also head the provincial assembly, elected every five years. Governors generally take the lead in economic affairs and directions from central government but provinces also play a role in agriculture and further education. While the assembly is largely reduced to approving the annual budget and meets irregularly, it does elect several of its number to a commission to assist the governor in his executive role. At the district level, the executive head is the mayor, directly elected since 1963. While the mayor is directly elected on a five year term, the provincial governor still has scope to intervene in the affairs of each municipality under their jurisdiction and the mayor simply leads a group of senior local officials in their tasks. The districts vary in status, for instance the principal district of a province will be administered by an appointed vice governor, while a village is headed by a chief rather than a mayor. The functions exercised at this level are largely concerned with matters of civil registration, land, posts and telecommunications and basic education. Turkey’s capital Ankara is known as its republican capital owing to the pre-eminence of the Ottoman citadel of Istanbul (also known globally as Constantinople). Istanbul forms the Greater Istanbul municipality (which is also one of Turkey’s 81 provinces), headed by the metropolitan mayor and the metropolitan council (consisting of 31 district mayors and one fifth of district councillors). Istanbul is one of three metropolitan municipalities introduced following the end of military rule in 1984, the others being Ankara and Izmir. In each case, the metropolitan municipality represents an additional tier of government in order to perform strategic functions across the metropolis. 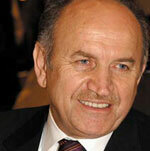 Istanbul’s metropolitan mayor is Kadir Topbas (AKP), elected 2004 and re-elected 2009. As part of on-going efforts to modernise and drive efficiency ahead of possible accession to the European Union, Erdogan’s AKP government is now pursuing a reform and decentralisation programme to local government. The last such wave of reform occurred following the resumption of civilian rule during the 1980s, which saw the doubling of municipal budgets and the growth in municipal involvement in water and power, as well as public transportation. However, in many cases, local governments have struggled to cope with service provision, especially in waste and sanitation, and corruption remains a significant issue and roadblock to reform. Overall, the government seeks to pursue a reform agenda, possibly removing its appointed governors in the future, but remains mindful of the obstacles. In particular, suspicion remains about the merits of further reform, which is often interpreted domestically as an imposition by bodies such as the EU or IMF. The lack of a conclusive outcome in the 2009 local elections for the AKP means that a mandate for reform may have to wait, as the country continues to grapple with various economic problems and thorny constitutional disputes.